Part of the largest freshwater ecosystem in the world. Active dunes form near shore areas. Inland dunes are covered with dense forest. Islands host enormous rookeries during the breeding season. Densely wooded limestone bluffs and rocky slopes form this massive geologic corridor that extends to Niagara Falls. Many plants and animals along the escarpment are found nowhere else in the world. ​and interpretative development, Julie brings a rich background in research and professional experiences to all projects. Julie writes and produces Audio Description projects for the National Park Service, develops and teaches graduate courses for science educators at the University of Wisconsin Green Bay, serves as a Humanities Expert for organizations working with the Wisconsin Humanities Council and continues biological field work concerning the monarch butterfly, pollination and nectar studies and Citizen Science collaborations. The foundation of Lake Ledge is the creation of the immersive experience. This hands-on approach, where we are directly involved or immersed, has the power to change our thinking, deepen our perspective, connect us to place. ​The most powerful environment for creating those connections is an environment where we are immersed in learning through story, through emotion and through provocation. The ideal experience allows us to receive and respond using all the senses and the ideal experience is one that directly connects our lives with the story. With each project, we strive to create that ideal experience. CONNECTING PEOPLE | Connecting people to place is at the heart of effective education and interpretation and is found in each of the elements that make up Lake Ledge. Our audio description projects, interpretive support, educational development and field experiences each have the goal of deepening connection to place. SENSING PLACE | If there were ever a time to reconnect with the concept of place- it is now. Now is the time to immerse ourselves in the environment and explore our place in it. Now is the time to learn from nature, consult with nature and explore potential solutions using nature and story as guide. a connector, forever grounding the person to that moment, forming connections through touch ​and movement . STRENGTHS | The development of engaging and accurate content. Innovative Curriculum. In-depth, thoughtful research. The ability and patience to distill the complexities of story into the creation of meaningful experiences for the broadest spectrum of participants. Enthusiasm. RESEARCH INTERESTS | Improving Methods of Audio Description and Universal Design Principles. Monarch butterfly population biology and conservation of the endangered migratory phenomenon.The implementation of authentic scientific research in the formal and informal classroom through citizen science monitoring programs. PROFESSIONAL OBJECTIVE | Develop immersive, interpretive and educational experiences that inspire and foster active citizenship and critical thinking skills for all ages and abilities. 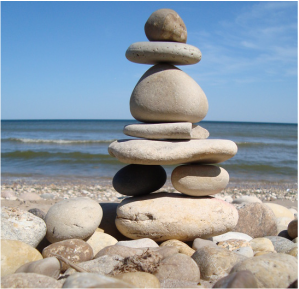 of stones that have been stacked by humans. For thousands of years inuksuk have been used for navigation, story and in the marking of sacred places.